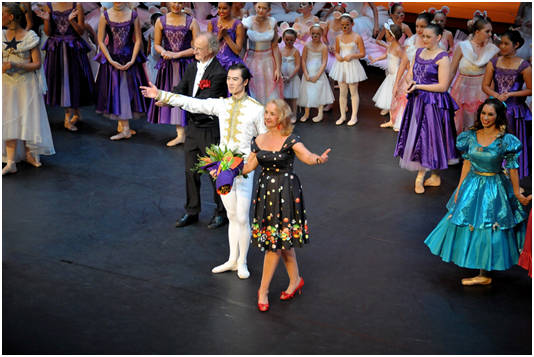 Jan originally studied dance in Melbourne at the Heidelberg and District Ballet School under Lorraine Blackbourn OAM , where she obtained her formal qualifications as a registered teacher ( L. C.B.A. – C.I.C.B. ), and performed with the National Theatre in a number of classical ballets including the full length “Giselle”, and “Swan Lake” at Her Majesty’s Theatre. Her teacher whilst at the “National” was Madam Lucie Saranova, who in turn was a pupil of Maestro Enrico Cecchetti. Among Maestro Cecchetti’s most famous pupils were Anna Pavlova, Agrippina Vaganova, Mikhail Fokine, and Vaslav Nijinsky. Jan has directed and choreographed dance productions for the Darwin and Palmerston communities for the past 31 years, including Superstars Production of Guys and Dolls; School Rock Eisteddfod and NT Schools Beat Productions. From 1993 to 1995, Jan was the Dance Teacher at St John’s College, teaching dance to students in Years 8 to 12. Jan participated in the collaboration and development of the Dance Curriculum for Northern Territory Schools. Jan is NT Organizer for Cecchetti Ballet Australia Inc. Developing young talented artists, which includes providing performance opportunities on the professional stage, is her passion.